This distinction between civil inattention and dismissal is such an important one, such a slippery one, it’s something I want to come back to. One of the more interesting aspects of this principle is that it seems to excite remark only in its breach…Only the very few instances of observed incivility made it into my notes. This provides a strong disincentive for interaction — in polite and meaningful ways that help us all get through the urban tangle every day. What then provides incentive for the opposite in a positive way? The kinds of things you might like to foster as a planner or designer of space? open persons: individuals who because of subordinate (child, disabled) or occupational (policeman) status or because of situationally specific identities (fellow American in China) are seen as more available for an encounter than others. Dogs, children, art…those kinds of things. I remember that from his book. Chat between dog-owners for example. There exists a great relational fluidity — it is important to remember that these relationships are fluid, can move and change between between these forms, and not necessarily in a straightforward progression. Lofland argues (and I have found this myself) that much sociological literature puts primary relationships before secondary, it makes the moral judgement that they are ‘best’. I think that is almost intuitive, at least for me as this makes me pause to examine my own understandings. Interestingly this has been challenged, and I think rightly. Lofland looks at Ray Oldenburg’s (1989) work on ‘the third place’ – “a generic designation for a great variety of public places that host the regular, voluntary, informal, and happily anticipated gatherings of individuals beyond the realms of work and home.” She looks at Sennet’s The Uses of Disorder (1970), and The Fall of the Public Man (1977). All of course arguing that public places matter, these encounters matter and alongside deeper relationships they are important for how we relate to both society and place. For many, (see Firey (1945), Herbert Gans writing about the urban village, Marc Fried’s (1963) work on displaced) place was private or parochial space, but Relph and Yi-Fu Tuan have opened up this feeling of meaning as it is also applied to public realms. This is not so much in a religious sense, as in the way it holds importance — for example a ‘gay monument’ in Amsterdam. These can be public spaces, so in any public space, there may be multiple kinds of use occurring from those occupying it as a home territory to complete strangers and everyone in between. Thus the same space in the same moment of time can have varying feelings of place to different people present. And of course, all of this sits within a larger context of life and space. 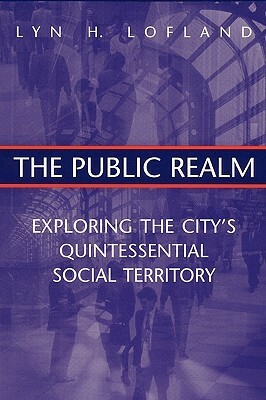 The possibilities for different kind of relational webs within spaces depends on larger frameworks — the very different relationships to public space that the medieval city dweller had for example, but also the differences in relationship to space that might depend on other factors such as race or nationality. There is just so much to think about here, and I am not yet done.